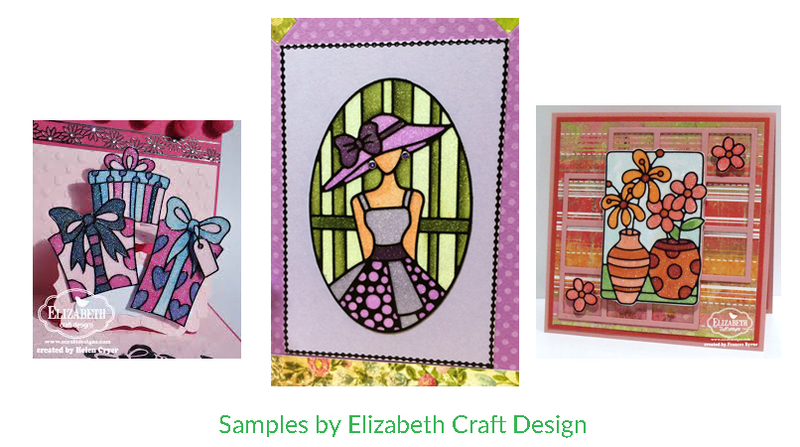 Elizabeth Craft Designs Peel Off stickers can be used for a lot of creative and fun projects like cardmaking, scrapbooking, decorating china, glass etc. They can be used on all kind of different materials like cardstock, paper, plastic, glass, mirrors, china, candles, textile and wood. The Peel-Offs are dishwasher and microwave durable. Black stickers are particularly attractive when coloured with Tombow, Distress or Alcohol markers or glittered and then coloured with markers.